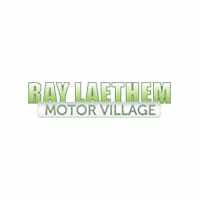 Affordable Sports Cars Near Detroit, MI | Ray Laethem CDJR " "
If you’ve been looking for a more accessible entry into the sports car segment, Ray Laethem CJDR has you covered with some inspired options, including the Dodge Charger and Dodge Challenger. Both of these vehicles boast an iconic muscle car design heritage and capable rear-wheel drive systems, as well as capable 3.6L V6, 5.7L V8, and 6.2L V8 engines. Make your way from St. Clair Shores to your Detroit/Grosse Pointe Dodge dealership to test drive either of these models or any of other other affordable sports cars for sale now. Eye-catching in Redline Red Tri-Coat Pearl, our Clean Carfax One Owner 2016 Dodge Challenger SXT Coupe stands out from the crowd with muscular style, performance, comfort, and efficiency! We will deliver, at no cost to you, your new or pre-owned vehicle anywhere in MI, OH, IN, or IL. Call or email for details. *** WE SPECIALIZE IN CREDIT ISSUES *** Billet Clearcoat 2018 Dodge Charger GT AWD 8-Speed Automatic 3.6L V6 24V VVT **HAVE QUESTIONS? TEXT US ANY TIME AT (313)327-3563**, AWD, Black Leather. We will deliver, at no cost to you, your new or pre-owned vehicle anywhere in MI, OH, IN, or IL. Call or email for details. *** WE SPECIALIZE IN CREDIT ISSUES *** Toreador Red 2018 Dodge Charger GT AWD 8-Speed Automatic 3.6L V6 24V VVT **HAVE QUESTIONS? TEXT US ANY TIME AT (313)327-3563**, AWD, Black Leather. We will deliver, at no cost to you, your new or pre-owned vehicle anywhere in MI, OH, IN, or IL. Call or email for details. *** WE SPECIALIZE IN CREDIT ISSUES *** Gray Clearcoat 2018 Dodge Charger GT AWD 8-Speed Automatic 3.6L V6 24V VVT **HAVE QUESTIONS? TEXT US ANY TIME AT (313)327-3563**, AWD, Black Leather. We will deliver, at no cost to you, your new or pre-owned vehicle anywhere in MI, OH, IN, or IL. Call or email for details. *** WE SPECIALIZE IN CREDIT ISSUES *** Gray Clearcoat 2018 Dodge Charger GT AWD 8-Speed Automatic 3.6L V6 24V VVT **HAVE QUESTIONS? TEXT US ANY TIME AT (313)327-3563**, AWD, Black Artificial Leather. We will deliver, at no cost to you, your new or pre-owned vehicle anywhere in MI, OH, IN, or IL. Call or email for details. *** WE SPECIALIZE IN CREDIT ISSUES *** Granite 2018 Dodge Charger GT AWD 8-Speed Automatic 3.6L V6 24V VVT **HAVE QUESTIONS? TEXT US ANY TIME AT (313)327-3563**, AWD, Black Artificial Leather. We will deliver, at no cost to you, your new or pre-owned vehicle anywhere in MI, OH, IN, or IL. Call or email for details. *** WE SPECIALIZE IN CREDIT ISSUES *** Pitch Black Clearcoat 2018 Dodge Charger GT AWD 8-Speed Automatic 3.6L V6 24V VVT **HAVE QUESTIONS? TEXT US ANY TIME AT (313)327-3563**, AWD, Black Artificial Leather. The Dodge Challenger, Dodge Charger, and other affordable sports cars are on sale right now at Ray Laethem CJDR. Schedule a test drive online, and then come in to see what these accessibly price models can do on the roads of Detroit and Grosse Pointe. Our dealership is open for sales Monday through Saturday, and we have a variety of competitive financing options available.